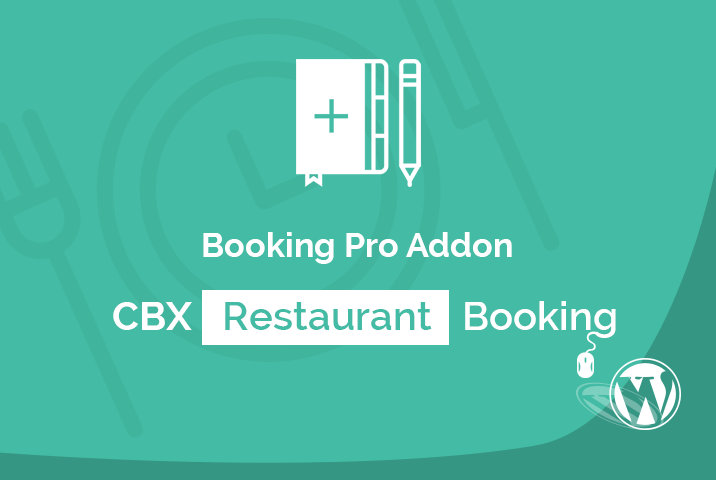 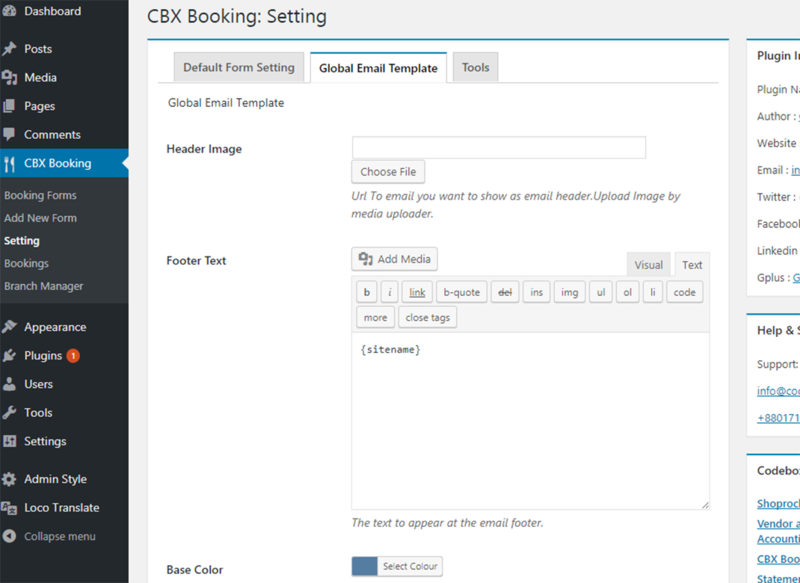 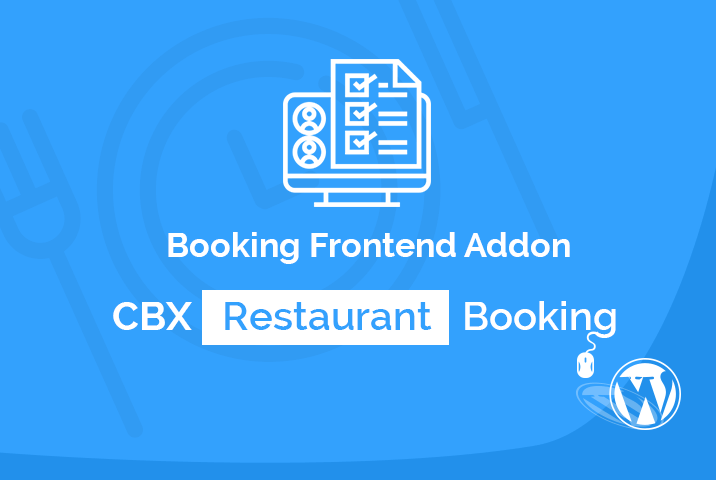 CBX Restaurant Booking plugin helps to create booking form and collect restaurant table booking. 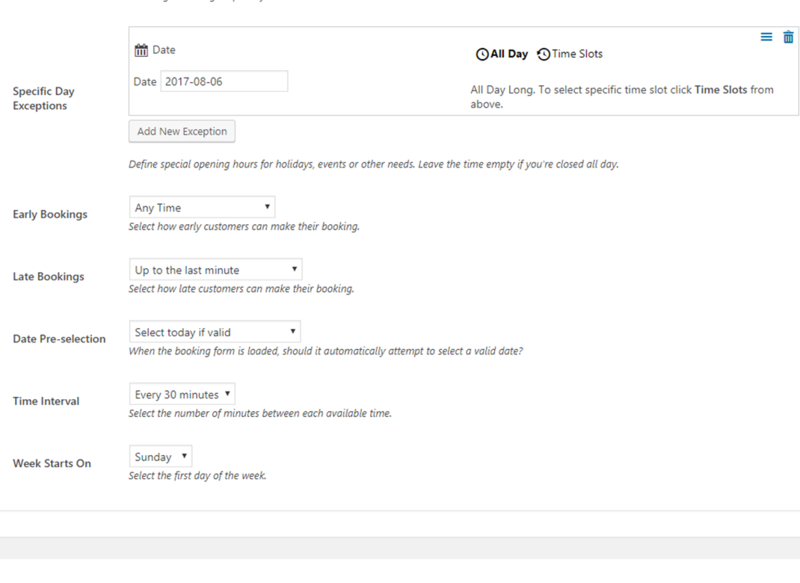 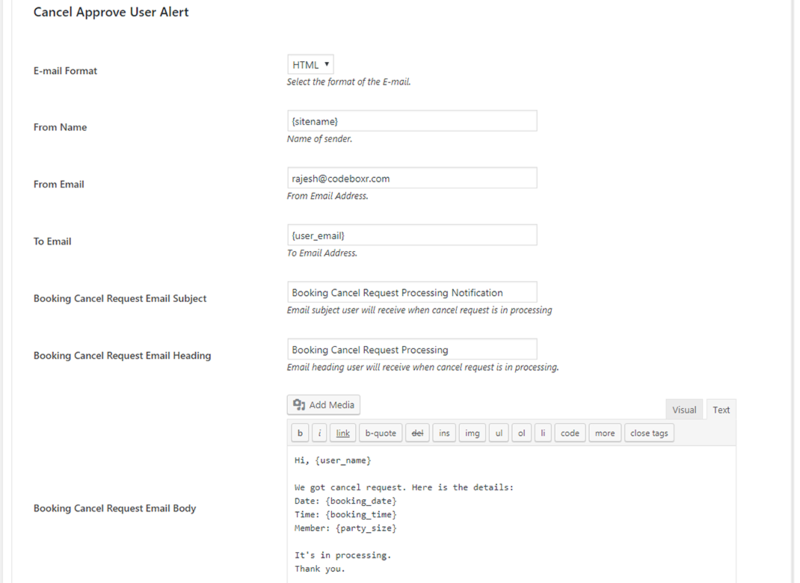 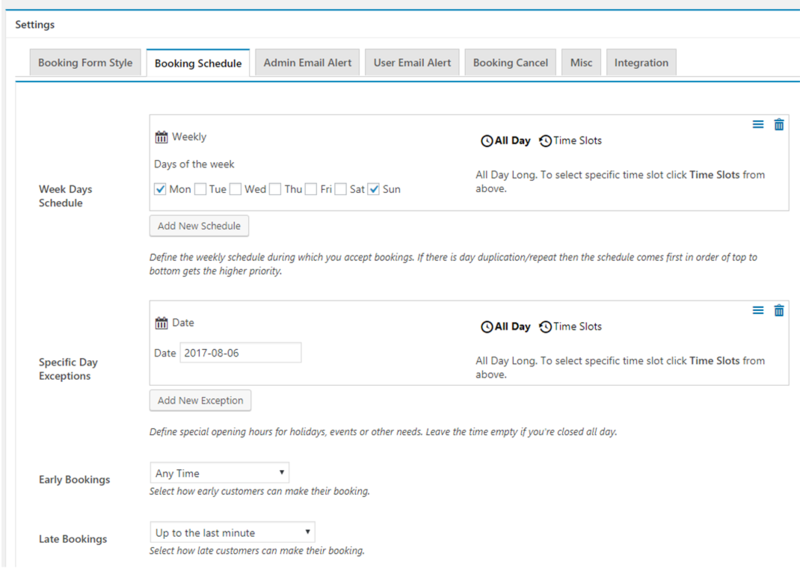 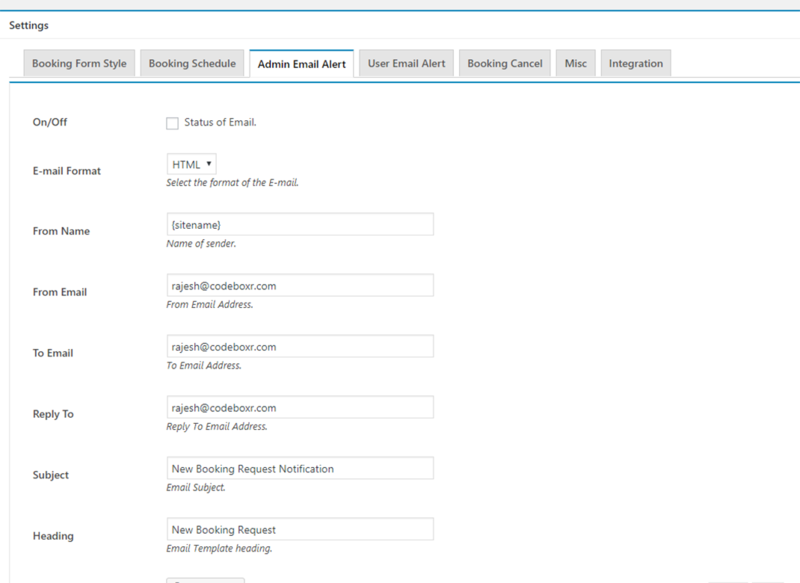 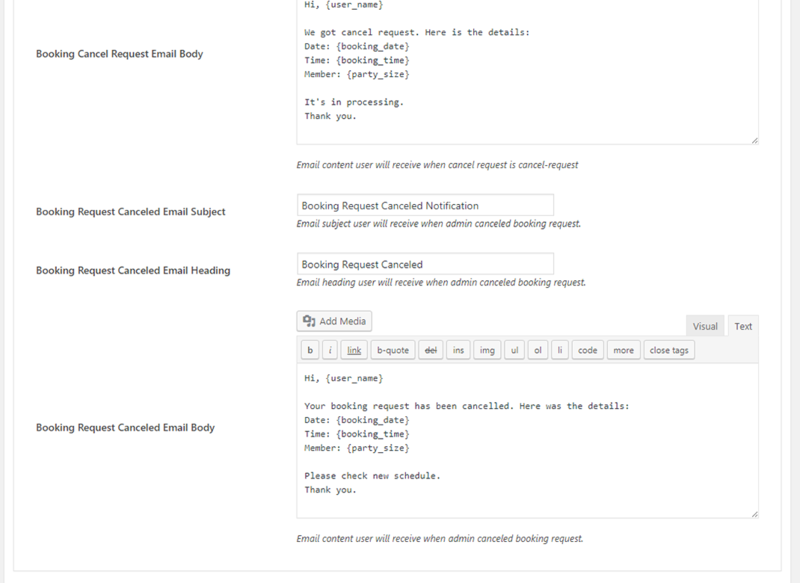 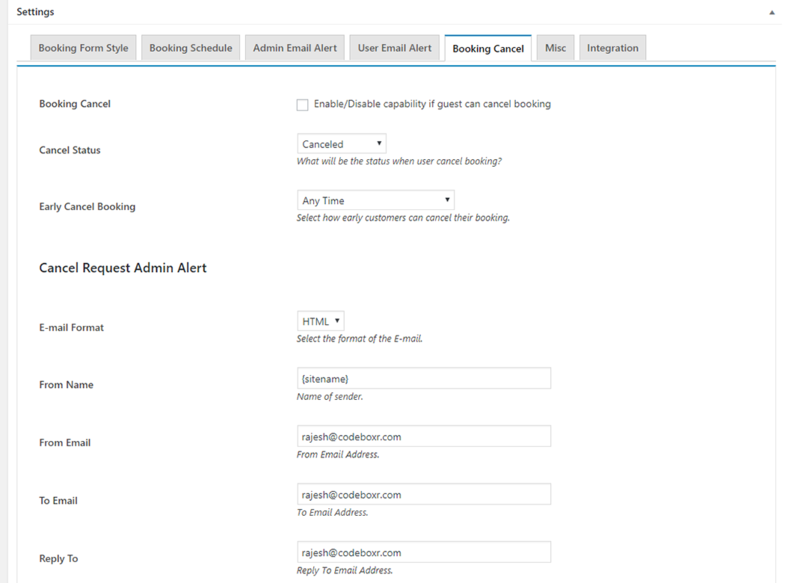 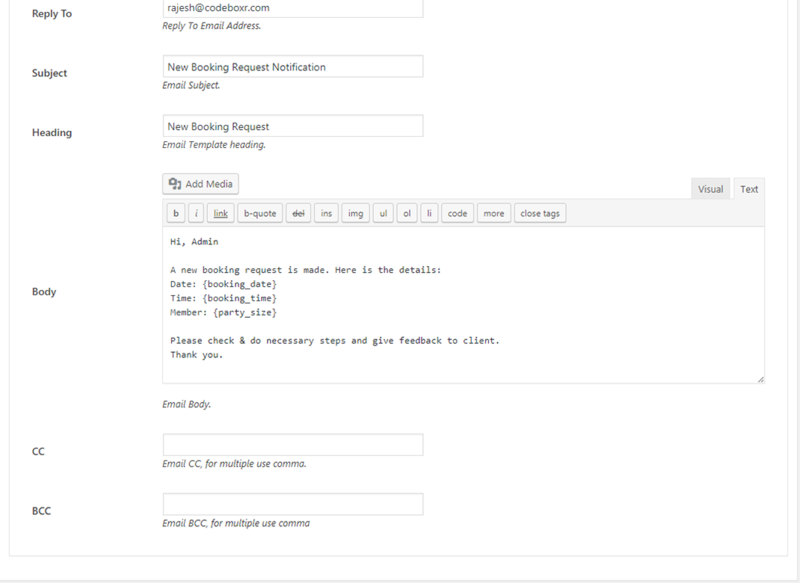 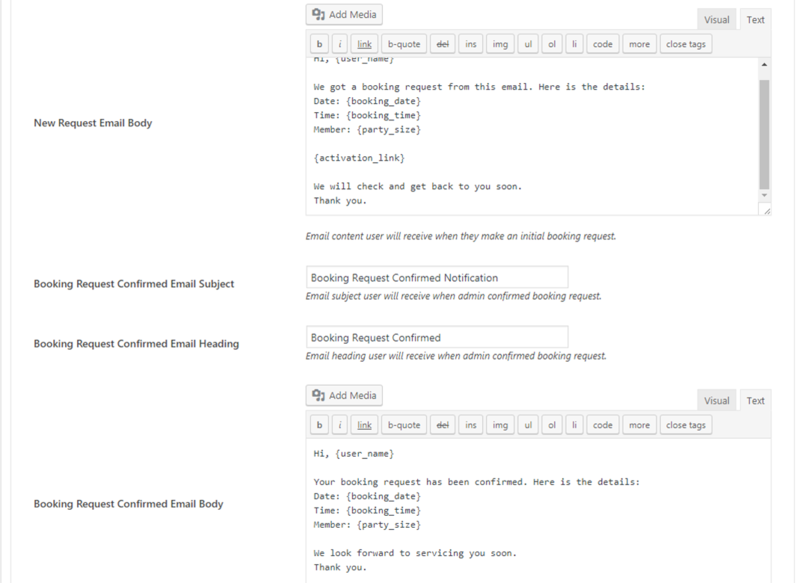 Strong admin panel to see booking logs, professsional looking email template for admin and customer booking alert. 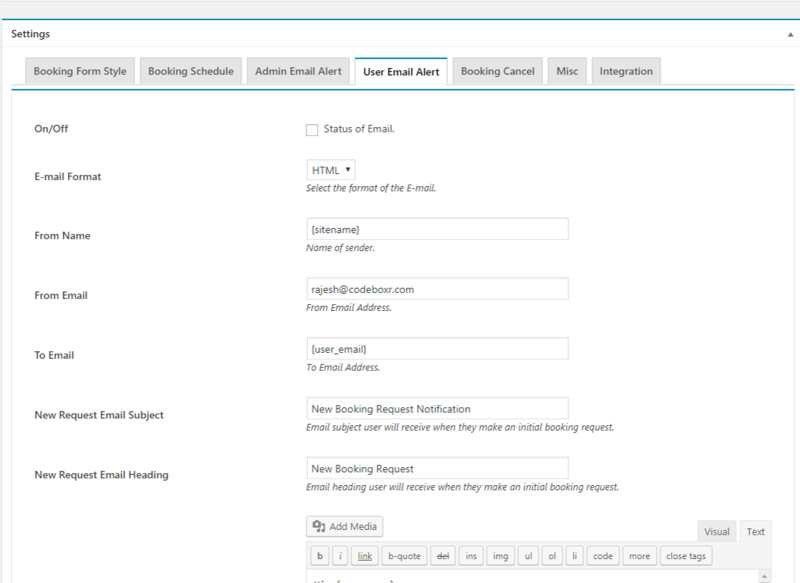 You can manage booking as per branch and booking form. 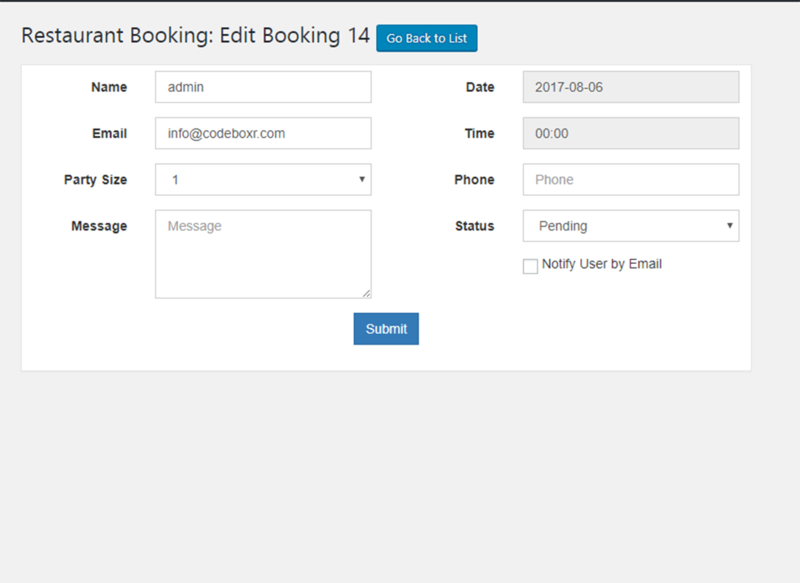 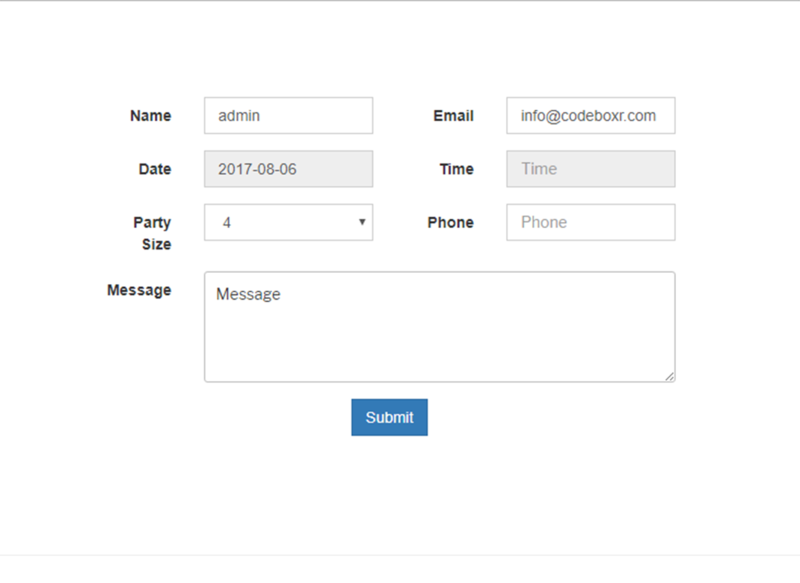 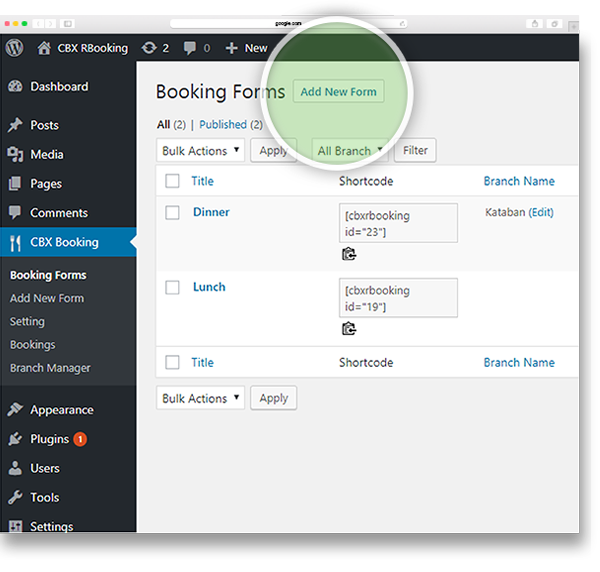 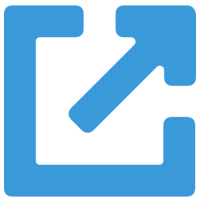 Shortcode powered booking form and more powerful features like frontend Booking logs manager, multiple branch and multiple forms etc via free and pro addons. 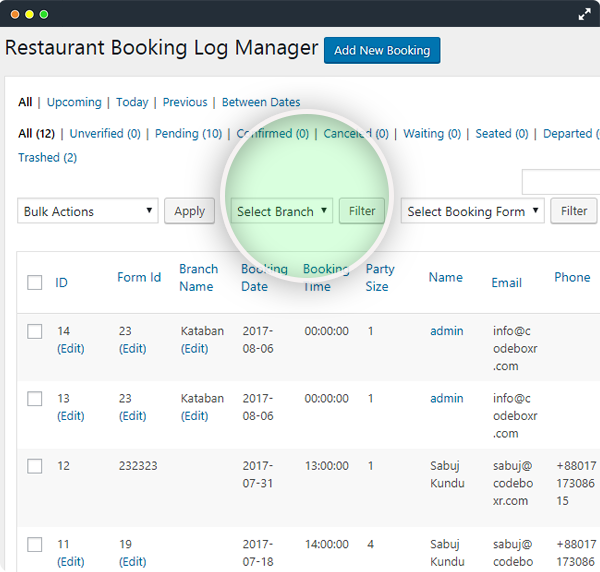 Set booking form as per branch and tracking booking logs as per form and branch. 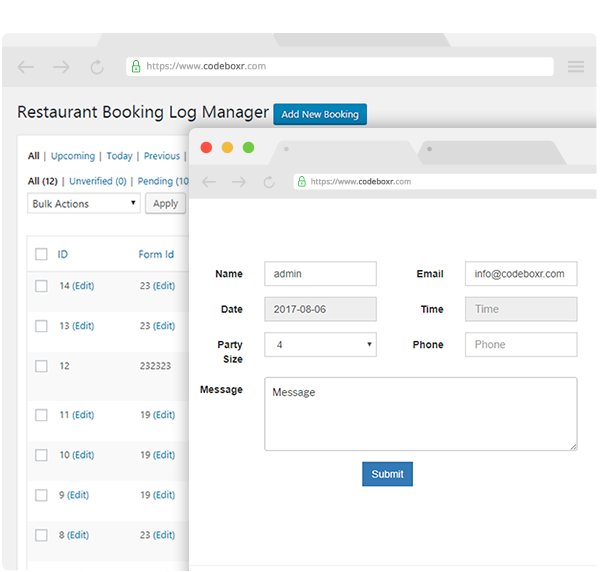 Clean booking logs with lots of filter like booking status, forms, branch, date etc. Frontend addon for booking manager and logs viewing. 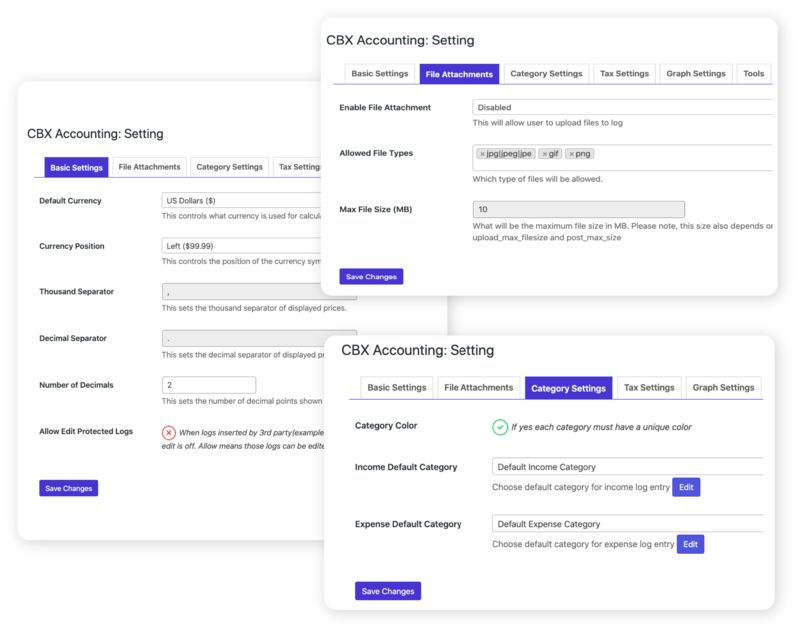 Extensive global setting to set default feature for the accounting system. 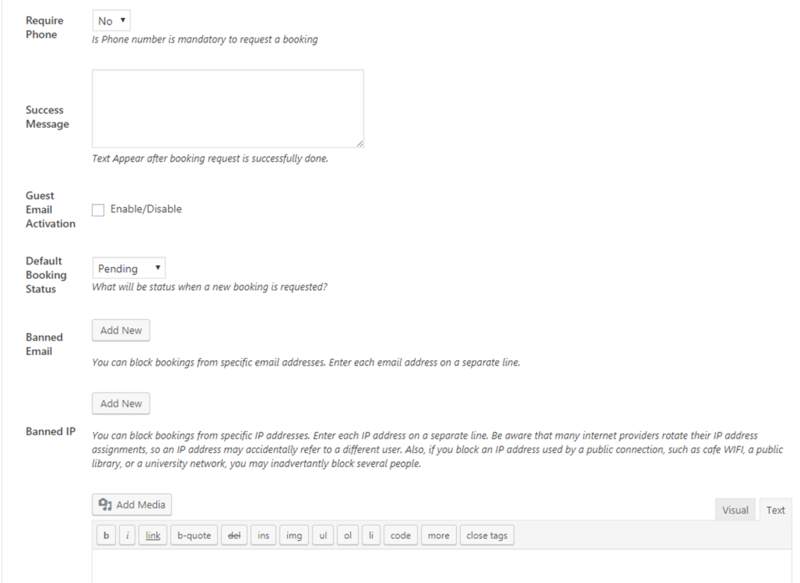 Setting api is pluggable and developer friendly. 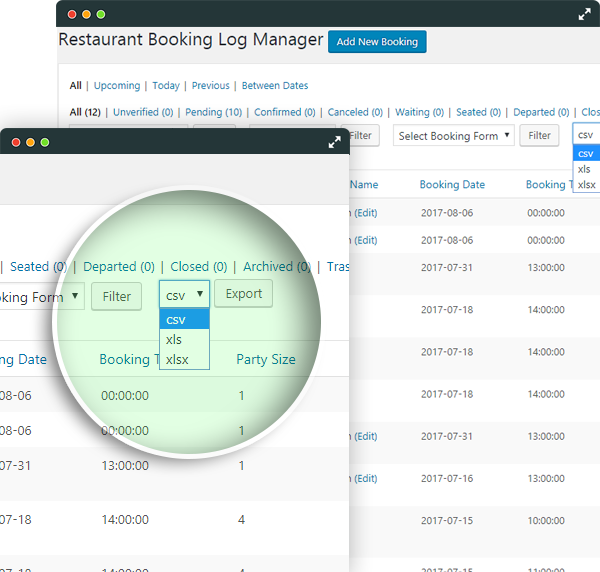 Booking Log export as csv and excell formats with filters. 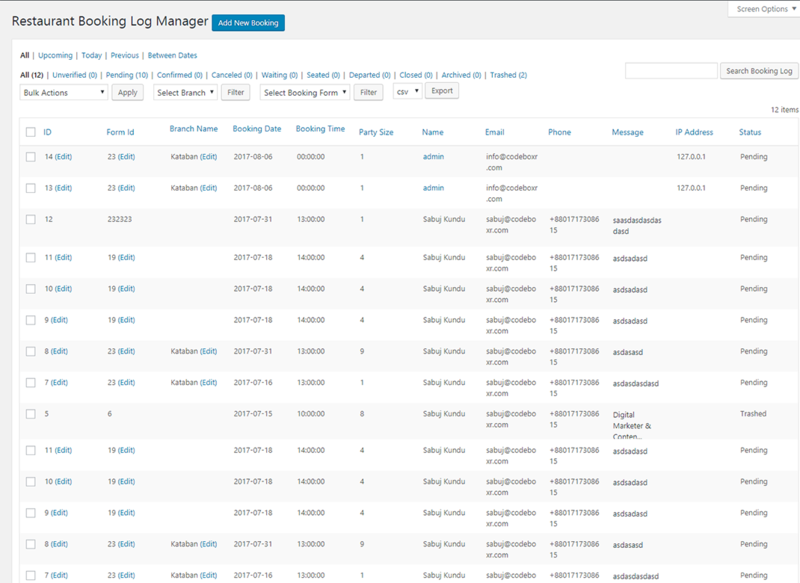 It’s an addon feature. 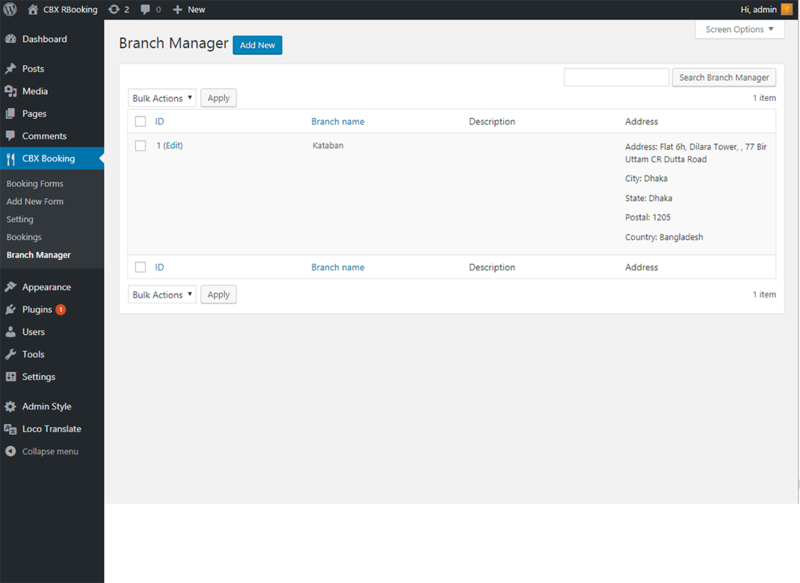 Developers friend and supports lots of hooks and filter. 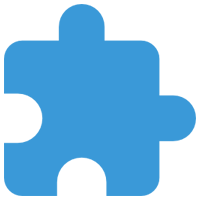 Official and 3rd party addons. 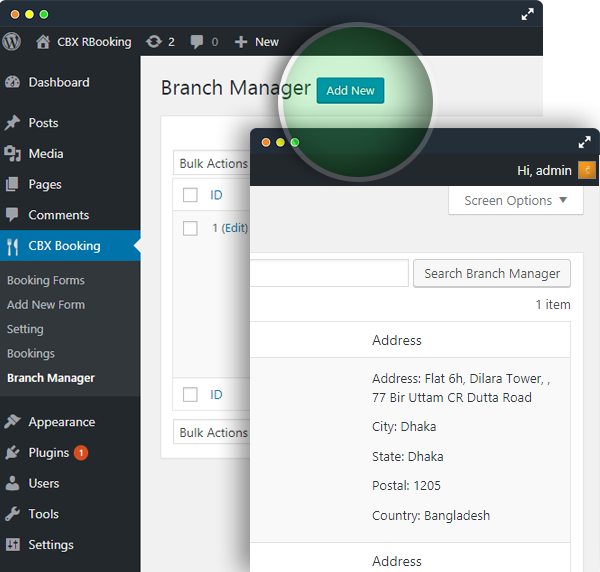 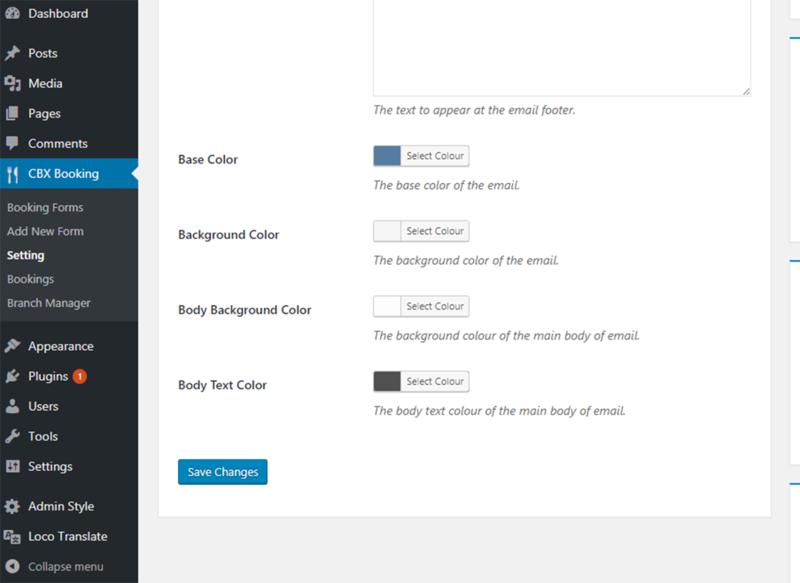 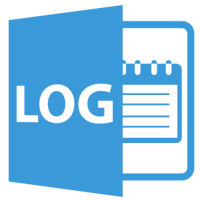 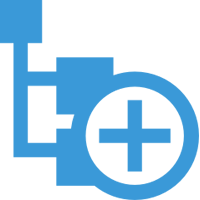 Supports translation and localization following native wordpress way. 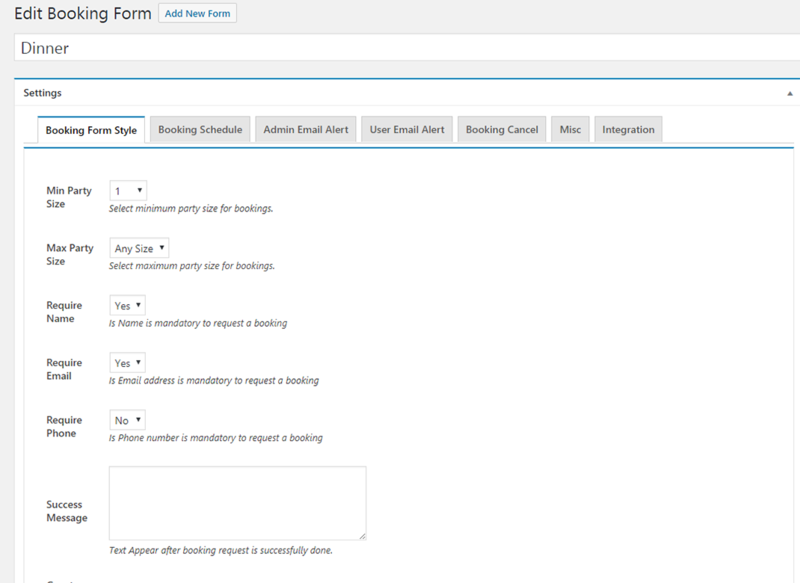 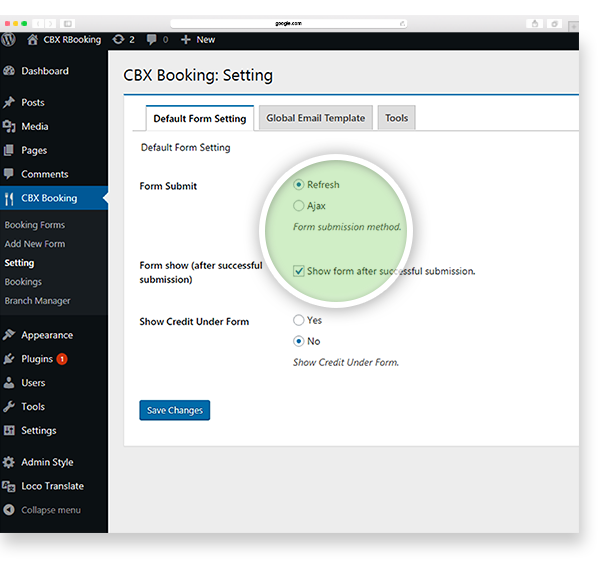 Multiple booking forms with individual form setting. 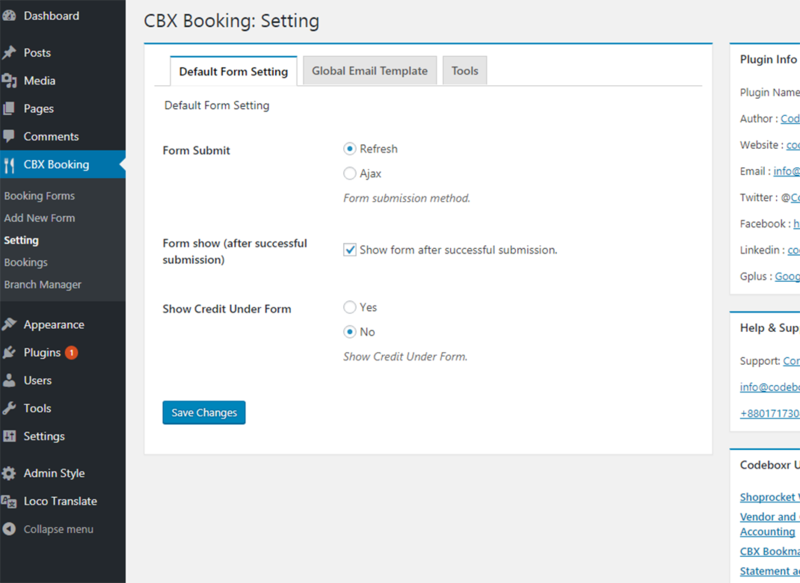 Multiple form is a pro feature. 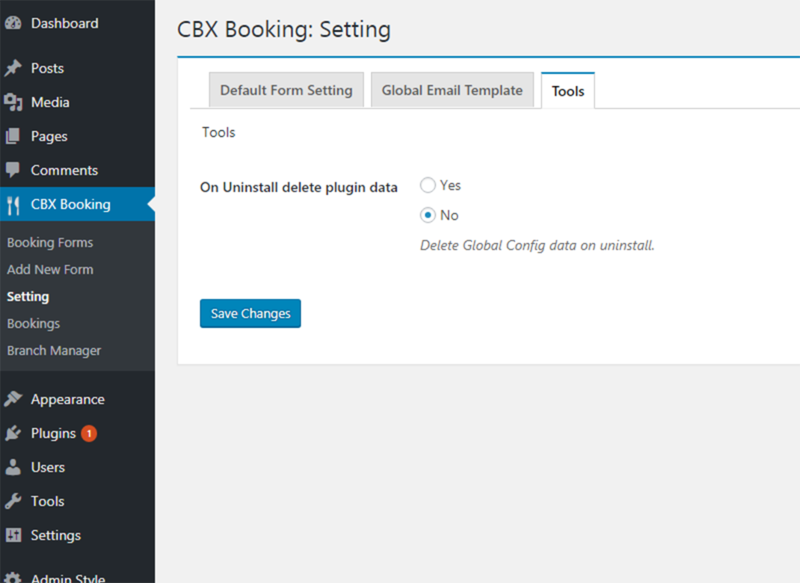 Booking Log export as csv and excell formats with filters. 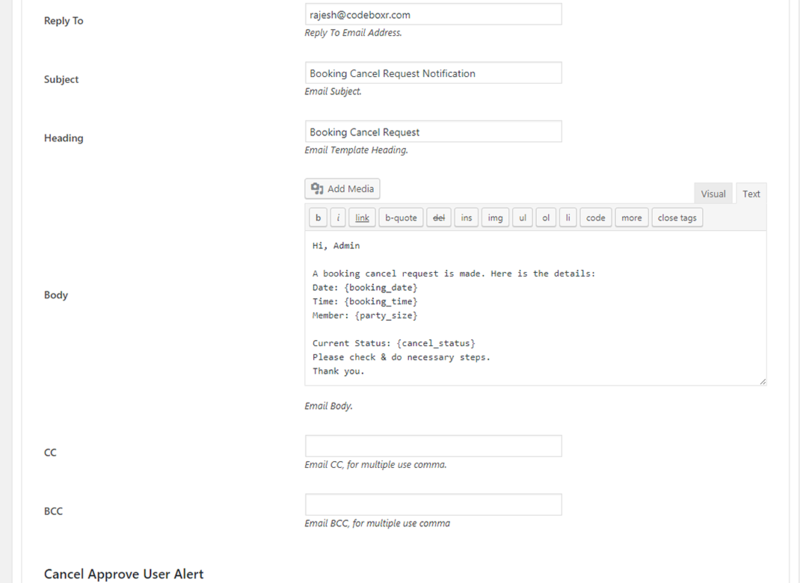 It’s an addon feature. 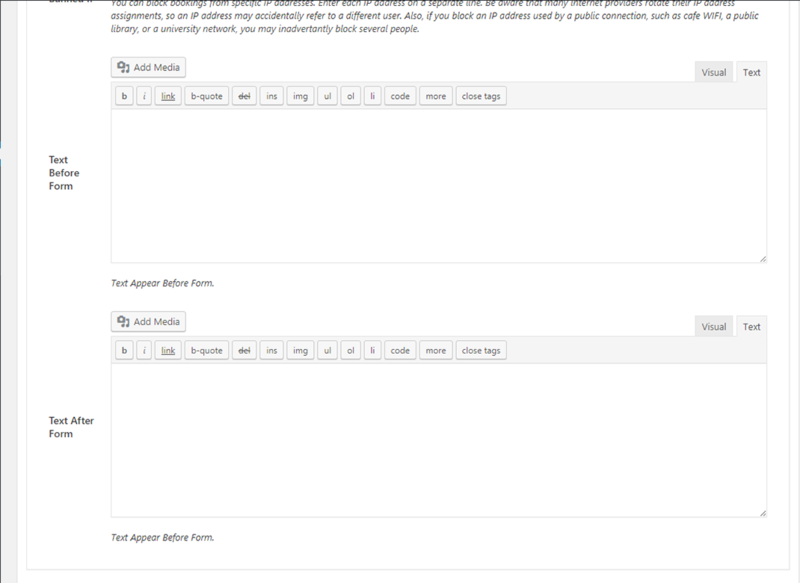 Export is a pro features. 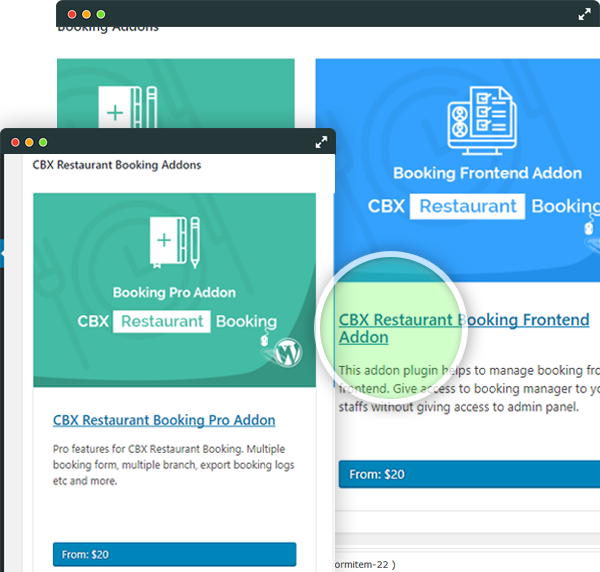 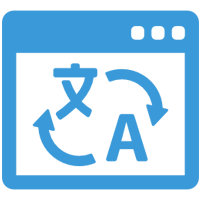 Developers friendly and supports lots of hooks and filter. 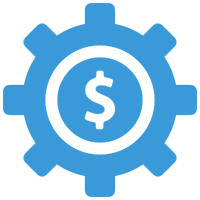 Official and 3rd party addons. 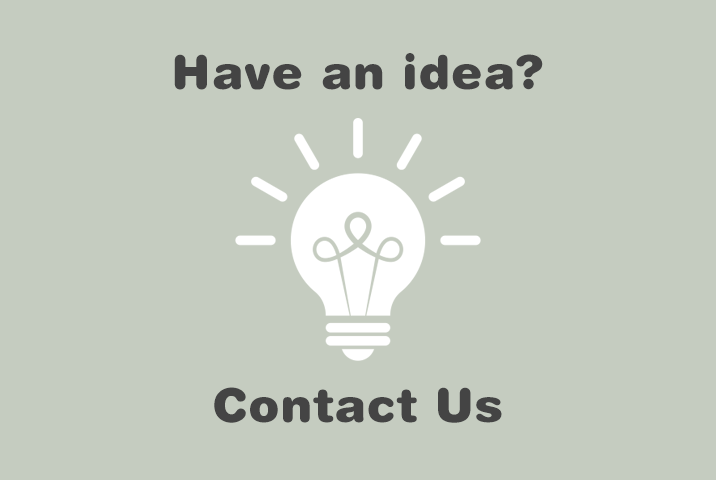 More coming soon, let us know your idea.